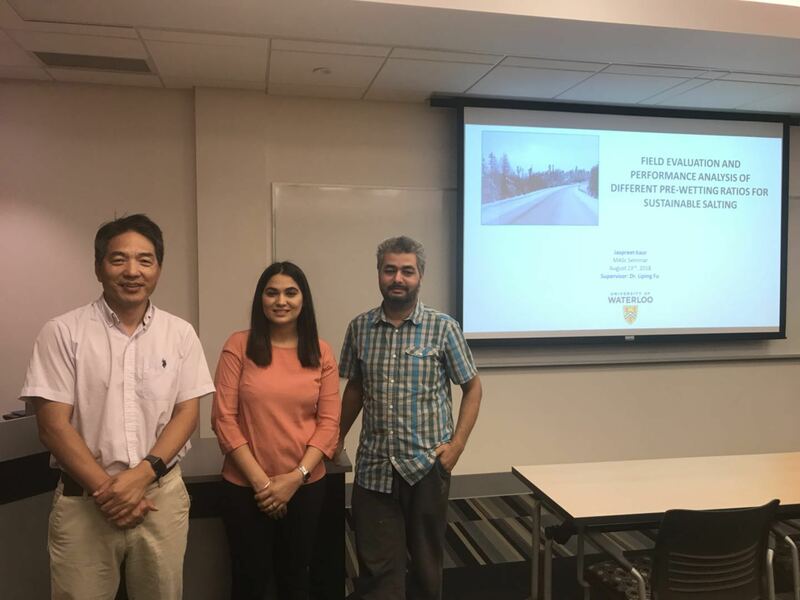 Congratulations to Jaspreet Kaur who completed her Master’s seminar and thesis titled “Field Evaluation and Performance Analysis of Different Pre-wetting Ratios for Sustainable Salting” under the supervision of Dr. Liping Fu. Jaspreet’s work focused on the winter road maintenance technique of pre-wetting on Highway 6 in Durham, Ontario. The main objective of her thesis is to compare the field performance of pre-wetting at different ratios, to develop a statistical model to identify factors that had a significant effect on the field performance, and investigate differences in performance of different pre-wetting ratios. ⇐ Sustainable Winter Road Operations Textbook Published!